Day 1 - Arrive in Phoenix, Arizona. Day 2 - The Tuscon Rock and Mineral Show. Day 3 - Petrified Forest National Park, Meteor Crater and Sunset Crater Volcano National Monument. We start the day in Petrified Forest National Park so name because of its fossil trees. 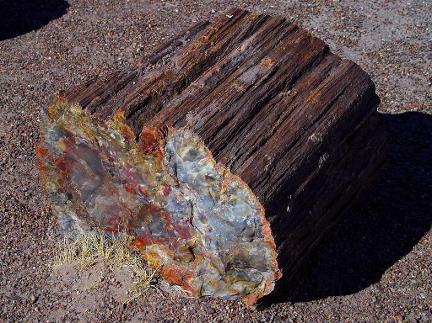 We walk the 0.75 mile Crystal Forest Trail, named for the presence of beautiful crystals that can be found in the petrified logs; this trail offers one of the best opportunities to experience the petrified wood deposits. We then walk the 0.4 mile Giant Logs trail which features some of the largest and most colourful logs in the park. Old Faithful, at the top of the trail, is almost ten feet wide at the base! If we have time and you wish to, we can also walk the 1.6 mile Long Log Trail. Long Logs is one of the largest concentrations of petrified wood in the park and we can explore this ancient log jam at the base of gray badlands. 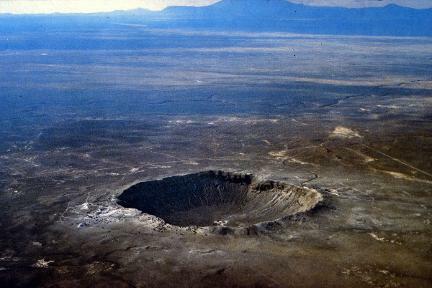 We then journey on to marvel at Meteor Crater, before driving on to Sunset Crater Volcano near Flagstaff and learn about why there is a volcano here. The night is spent in Tusayan near the South Rim of the Grand Canyon. We spend 2 nights at this hotel. 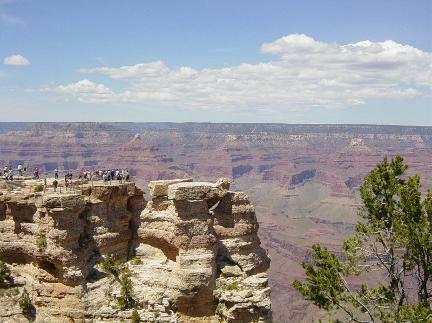 Day 4 - The South Rim, Grand Canyon National Park, World Heritage Site. We spend the whole day at the South Rim of the Grand Canyon. In the morning we walk the gentle and flat 'Trail of Time'. The trail is 1.3 miles long , and 1 metre represents 1 million years. The trail goes from the visitor centre to the Yavapai Geology Museum, which has interpretive boards and stunning views. At the end of the trail you can walk back or take a shuttle bus. In the afternoon you can either take it easy or join James on a hike part way down into the Canyon. We will walk the first 1.5 miles of the South Kaibab Trail, descending 1,140 feet (350m) turning around at Cedar Ridge, to walk the 1.5 miles back. The night is spent in the same hotel in Tusayan. Day 6 - The Grand Canyon East Rim, Horseshoe Bend and Atelope Canyon. We travel along the stunning eastern rim of the Grand Canyon with many photo stops, before reaching Tuba City where we visit a Dinosaur trackway. 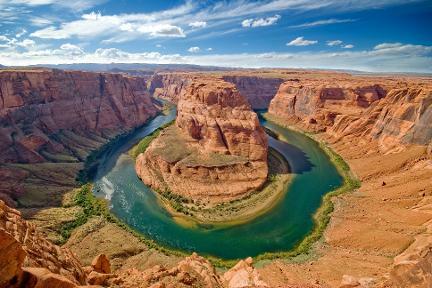 We then proceed to the photogenic Horseshoe Bend before reaching Page. 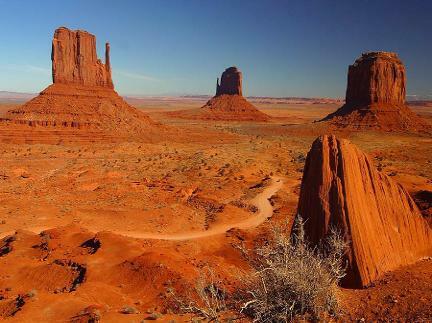 In Page we will take an organised tour to Antelope Canyon. The night is spent in Page. Day 7 - Bryce Canyon National Park. Today we travel through beautiful landscapes to reach Bryce Canyon. 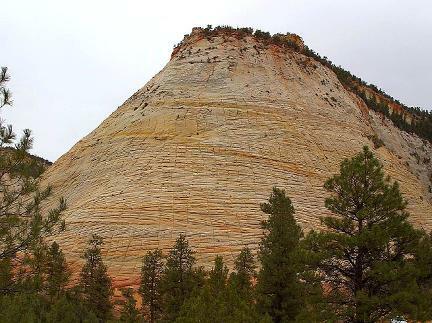 We stop to take in amazing views at Fairyland Point, then take a gentle walk along the Rim Trail overlooking Bryce Amphitheatre. 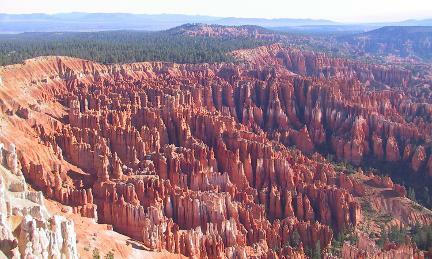 Next, we spend time exploring Bryce Canyon’s famous hoodoos. The night is spent at the Bryce Canyon Best Western hotel. Day 8 — Zion National Park. In the morning we hike the classic Emerald Pools trail. This walk is easy and is a 3-mile round-trip. This is one of the most enchanting trails in the park, with pools, waterfalls and wonderful rock monoliths. In the afternoon, explore the Narrows of the Virgin River. This is a very different type of walk and involves wading for 60% of the time. We walk for 2 to 3 hours gently upstream to reach the narrows, usually in knee-deep water. We spend the night in Hurricane. Day 9 - St George Dinosaur Discovery Site and Las Vegas. 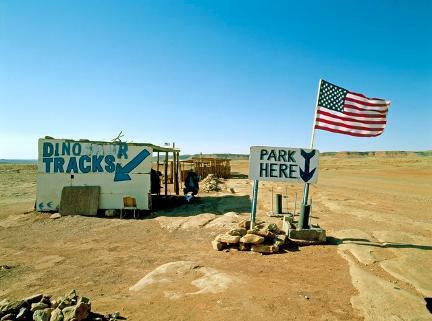 This morning we visit the St George Dinosaur Discovery Site. Dr Jim Kirkland, Utah State Palaeontologist, described it as "the most significant dinosaur tracksite in western North America." Dr Gerard Gierlinski, of the Polish Geological Institute, called the collection of tracks at the site "the most important in the world for researchers working on Early Jurassic footprints." Drs Adrian Hunt and Spencer Lucas, of the New Mexico Museum of Natural History and Science, referred to the site as one of only three known "ichnolagerstatte" in the world. This defines it as a place of exceptional fossil preservation with levels of detail that do not ordinarily occur in fossils, including aspects of animal behaviour, whichare preserved with exquisite precision. In the afternoon we drive to the city of Las Vegas where we will spend our last night.